Your family was the Navy. Still is, boy. McGee: Your family was the Navy. Admiral McGee: Still is, boy. NCIS Season 10 Episode 19: "Squall"
Admiral McGee: My relationship with my son is none of your damned business. Gibbs: You make him think he's nothing. You're the one with nothing. McGee: Boss do you think I made the right decision with my father? Gibbs: To be the bigger man? Maybe it's time he learned from you, McGee. 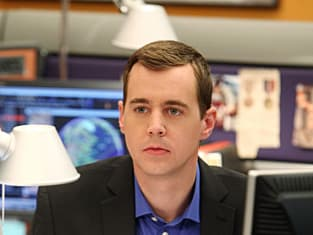 NCIS Sneak Peek: Where's McGee?